These problems end up frustrating everyone involved – the organizer, the car owners, the judges, the announcers – and negatively affect the show’s reputation. At many shows, the car owners simply drive away before the trophy presentation, because they feel that their cars are not judged properly, the presentation is severely delayed, or they have lost faith in the organizers’ ability to run a fair and timely judging process. Show attendees also all but disappear before the presentation because of the delays. A negative experience for car owners and attendees hurts the reputation of the show, and adversely affects future attendance numbers. No more fumbling with car judging sheets, no more running after judges to collect those sheets, no more cars being missed, and no more hurried manual totaling of scores! 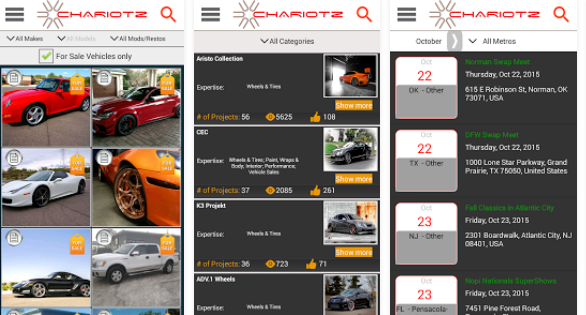 For more information, and to take advantage of special launch pricing on the online car show judging system, send an email to info@chariotz.com.